Today’s guest blogger is Lucy Hughes. Lucy lived and worked on a private nature reserve in South Africa for four years, carrying out field research that included a camera-trap study into the reserve’s leopard population and twice monthly bird surveys for Cape Town University’s Birds in Reserves Project (BIRP). Arrhhh, that really hurts! A three inch thorn had just penetrated my, admittedly inadequate, footwear and was stuck deep in the sole of my foot. 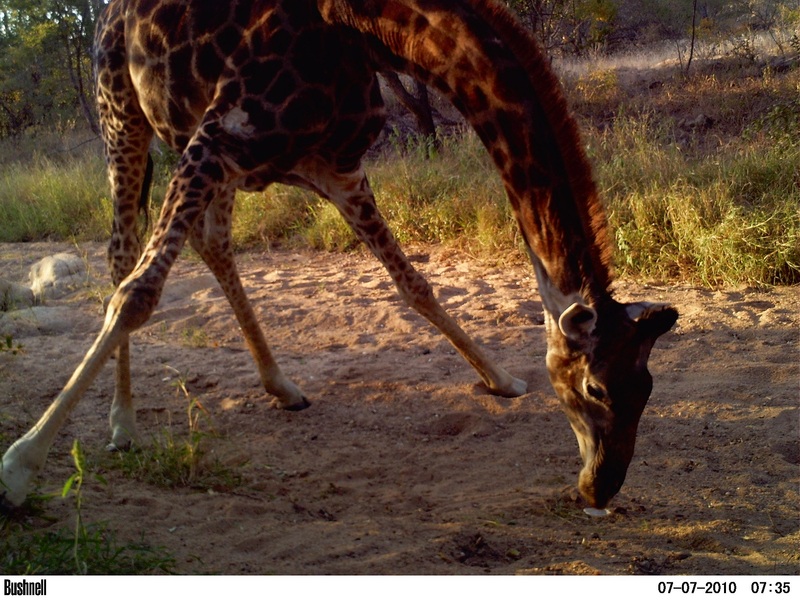 Thorns are a serious hazard of camera trap placement in the South African bushveld where plants with thorns or hooks seem to make up about 90% of species. Callous as it may seem it wasn’t a bad idea. We had been having trouble with capturing clear night shots of leopards. They always seem to be in a hurry and the shots we had were often blurry making it impossible to id the individuals. 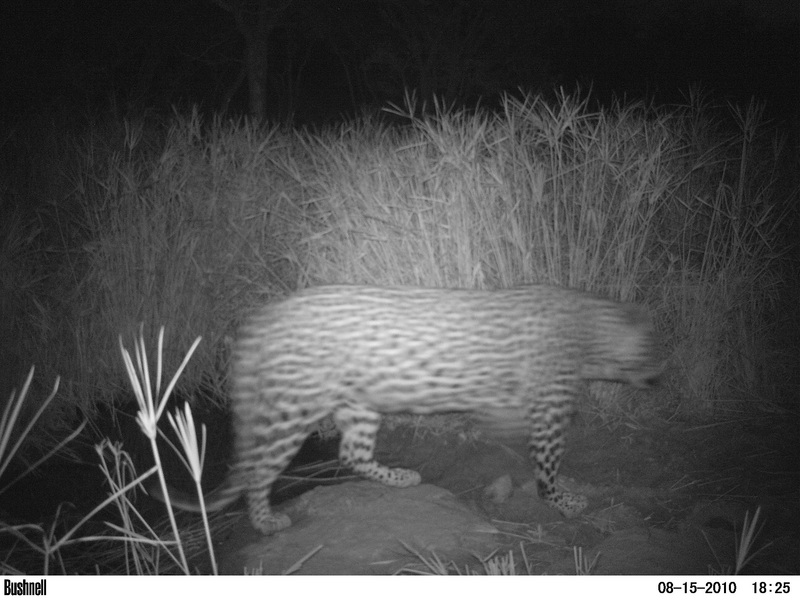 We needed a way to get the leopards to pause for a second or two in shot of the camera trap. We had been advised that scent was the answer and were experimenting with various different ones and now it seemed human blood was to be the next test. I dutifully hobbled out in front of the camera and scraped my bleeding foot around on a nice flat rock Michelle had procured, wondering about the sensibleness of using human blood as bait for a predator. My slight discomfort was all in the name of science. In the end it didn’t work, It rained a couple of nights later and my efforts where washed away. We never did find the perfect scent. We were told that tinned sardines worked wonders as well as catnip and perfume. We tried them all. It seems our cats where immune to these. The only thing that stopped them in their tracks was the scent of other leopards. I did learn however that the scent of tinned sardines was particularly interesting to giraffe of all animals. My method was to bury a plastic cup up to its rim in sand and put a blob of sardines in the cup. Now you would have thought that giraffe would have walked on by but as the picture below testifies, giraffe just have to take a closer look. You always learn something new!